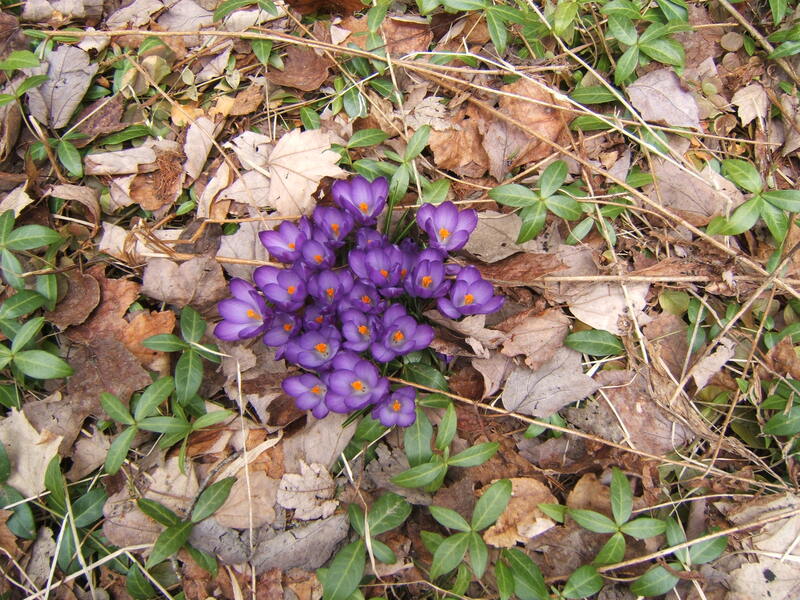 This morning, thinking of the long winter, I planted a dozen crocus bulbs. The package promises large, dark purple blooms in early spring. I planted them in small groups, in front of my concrete bench. When they bloom in spring, I will be able to see them from my library window. After a long winter, a glimpse of those brave petals poking above the dry leaves will be so joyful. 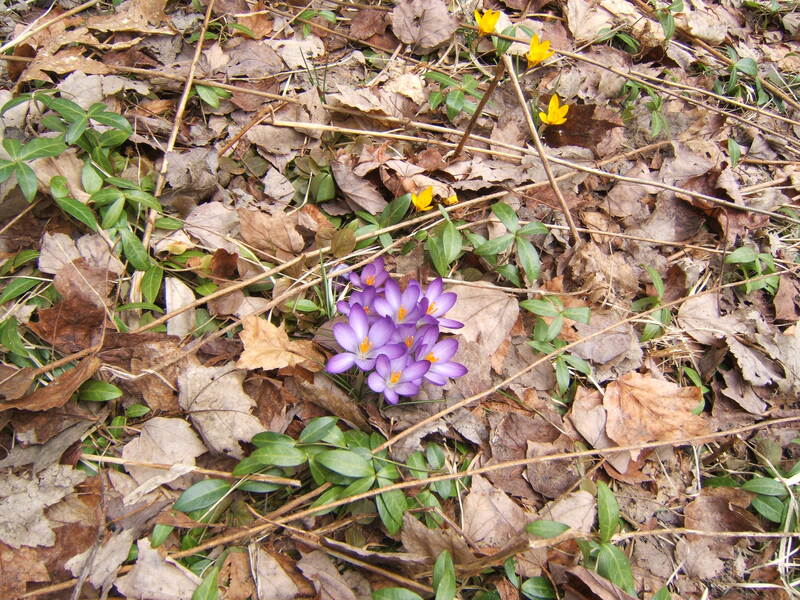 The crocuses we have now are bright purple and yellow. I planted them years ago, when my son was young. They have endured all these years and have even spread to other, distant parts of our property. I think the squirrels must dig them up, rebury them and forget where they have stashed their treasure. So, deep within the sienna brown of the bulbs is the makings of those purple petals. Wow! 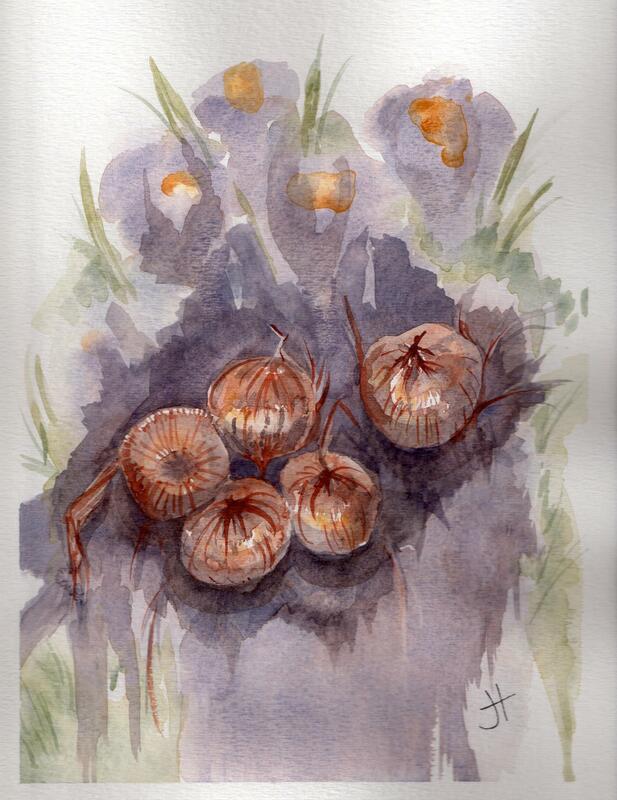 What a gorgeous watercolour telling the story of bulbs waking in spring.